Transfer form is a legalized document that enables a party to legally transfer a product or property to another party. The form is used to fill in the details of both the parties concerned along with the information about the thing whose ownership is being transferred. It is only after all the details have been filled in and both the parties are in agreement of the terms that the transfer form is duly signed and attested. 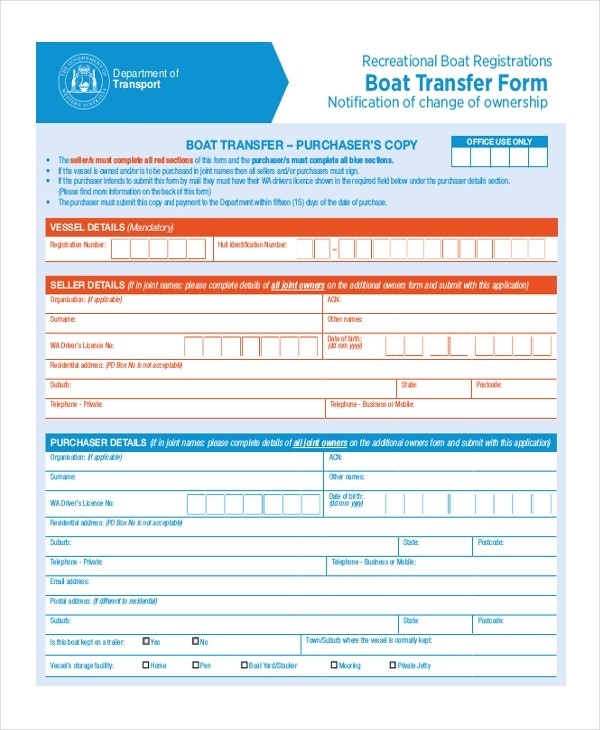 As the name suggests, this form is used to transfer the ownership of a boat from one person to another. The form outlines the terms of the agreement which both parties are legally bound to follow. Whenever a person wishes to transfer a bond in his name to another person, he is required to fill in the requisite details in a bond transfer form and sign it before getting it attested. 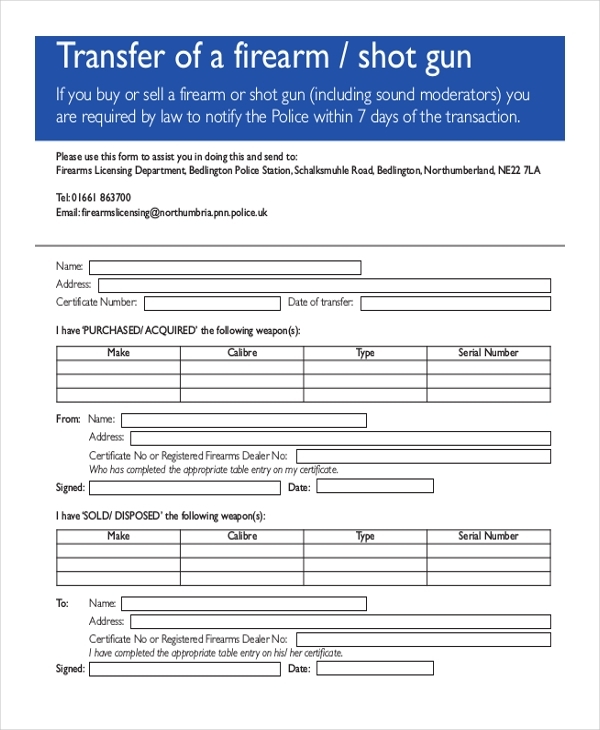 This form is mainly used by gun dealers while selling a gun to a party. By filling in the form and signing it, the dealer admits foregoing all the rights he had on the gun and to have transferred its ownership to the buyer. An inventory transfer form is used by business organizations or wholesalers to transfer the ownership of their inventory to their customer. This is usually done in lieu of an order placed by the customer. 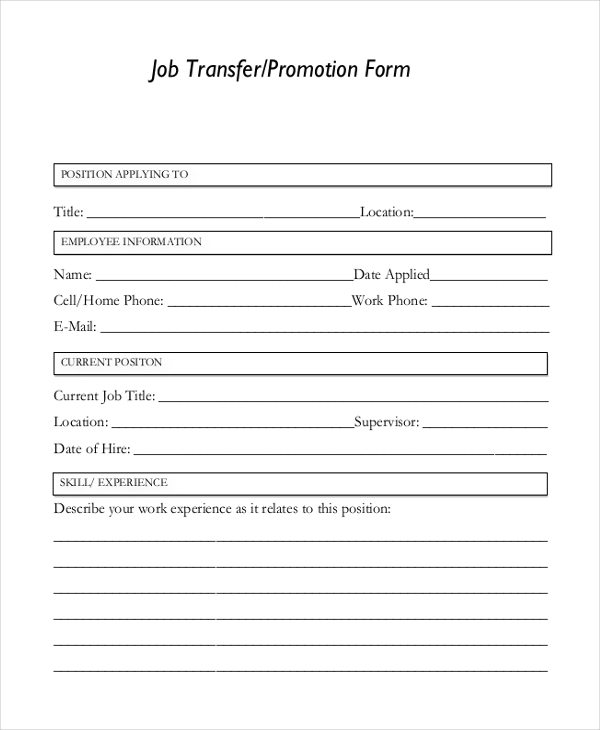 This form is used by business organizations to inform an employee about a transfer within the organization. The higher official is required to fill in the form with the details of the employee as well as the job profile he is expected to take up. Generally used during a buying and selling transaction of a land, this form is filled by the real estate agent or the parties concerned. The form outlines the details of the deed as well as that of the parties. 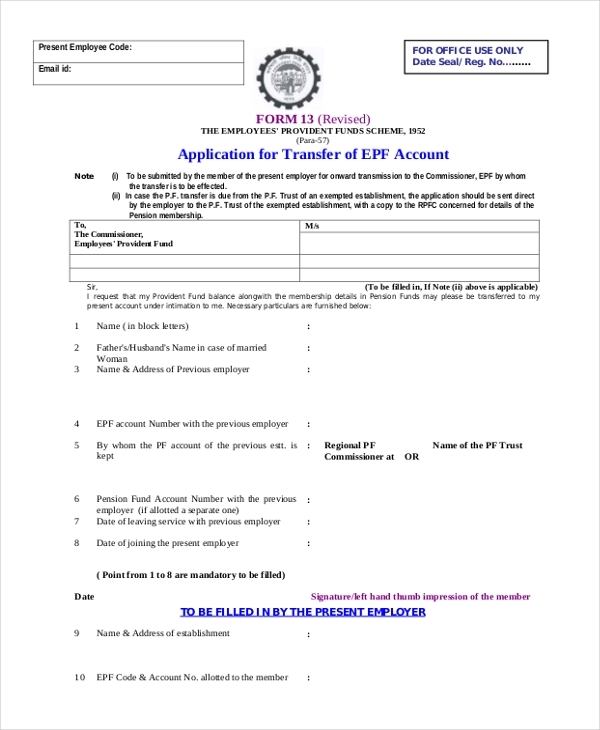 This form is used by business organizations to help their employees to get their new recruits to get their PF account transferred from the earlier employer account. The employee needs to fill in authentic details to make the transfer process smooth. Mainly used by stock brokers, this form helps them to transfer the stocks that are in possession of one customer to another customer. The form is mainly used when the stocks are sold by one party and bought by the other. This form is used in the event of buying and selling of shares between two parties. The parties concerned or the broker uses this form to elaborate on the information about the parties as well as the transaction. 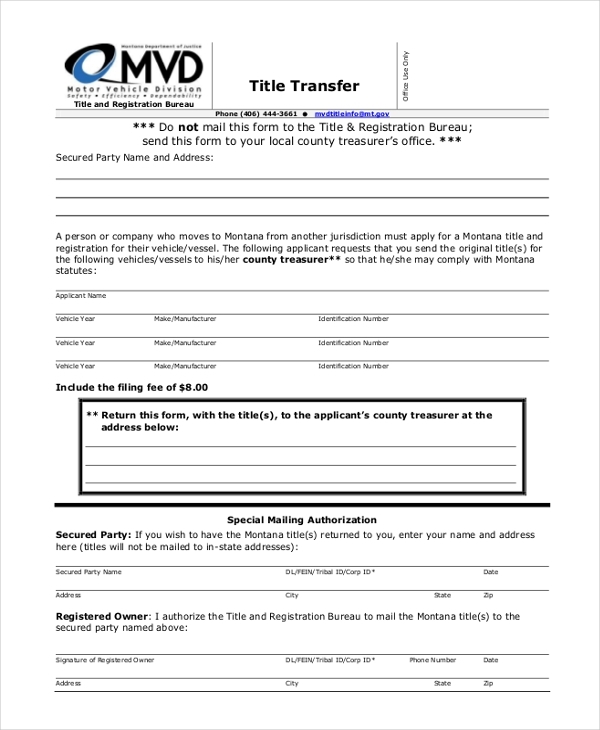 Used by automobile dealers or brokers, this form enables one party to sell a vehicle to another party and transfer the ownership in the bargain. Both the parties are required to sign the form and get it attested to legalize it. As the name indicates, this form is used by a party wishing to transfer funds to another party via wire transfer. The transferor is required to fill in important details to ensure that there are no mix-ups during the transfer process. 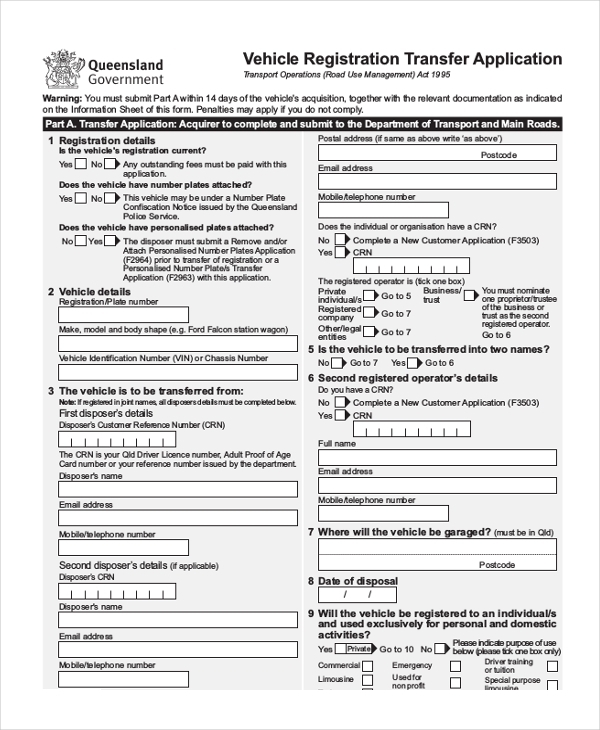 This form is used by the government department responsible for issuing registration numbers to the vehicles. 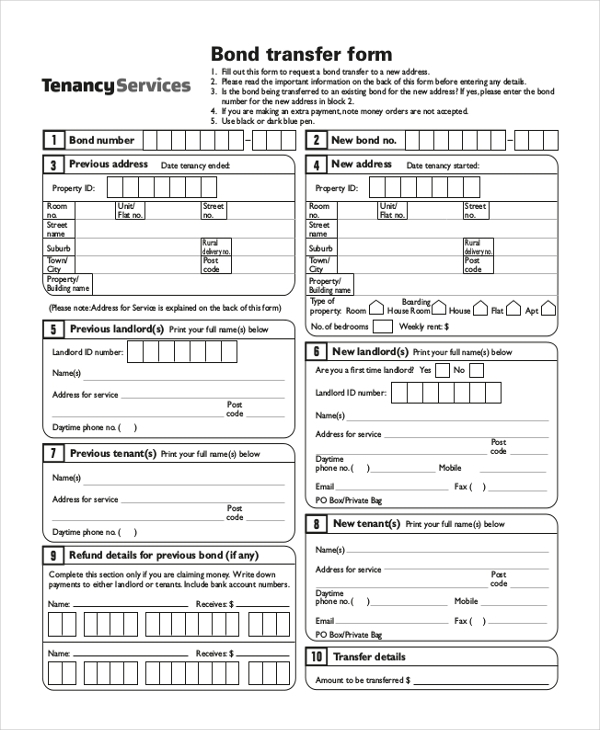 The form helps a person to request for a transfer title after relocating to a new area. A deed transfer form is generally used to transfer the ownership of a deed from one person to another. This could be in event of buying and selling of a house or a vehicle. 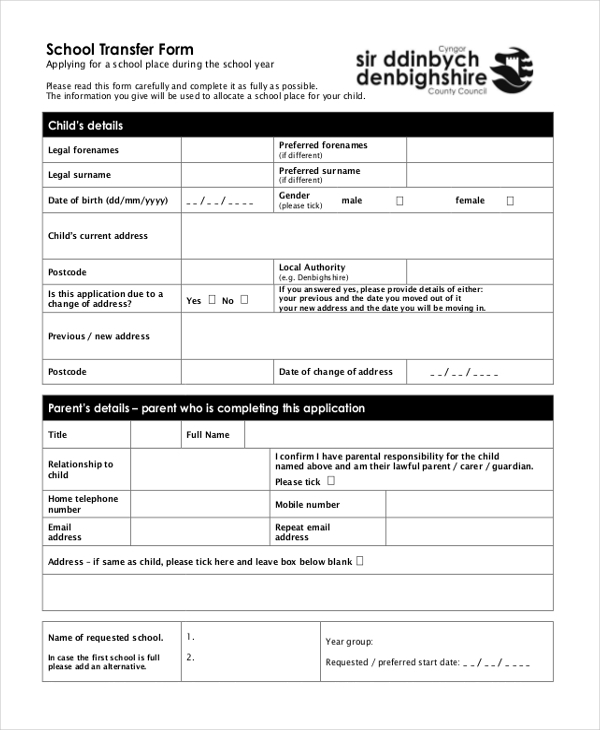 This form is used by the educational council to enable the parents to request a transfer of school for their child. The parents are required to fill in important details along with the names of the schools they prefer. 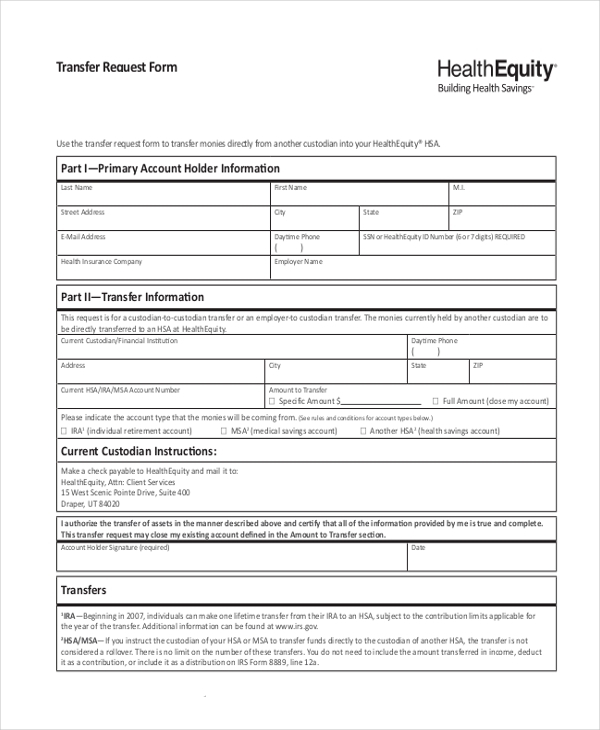 A transfer request form is usually used by insurance companies to enable people to transfer the funds in their custodian’s account to their private accounts. 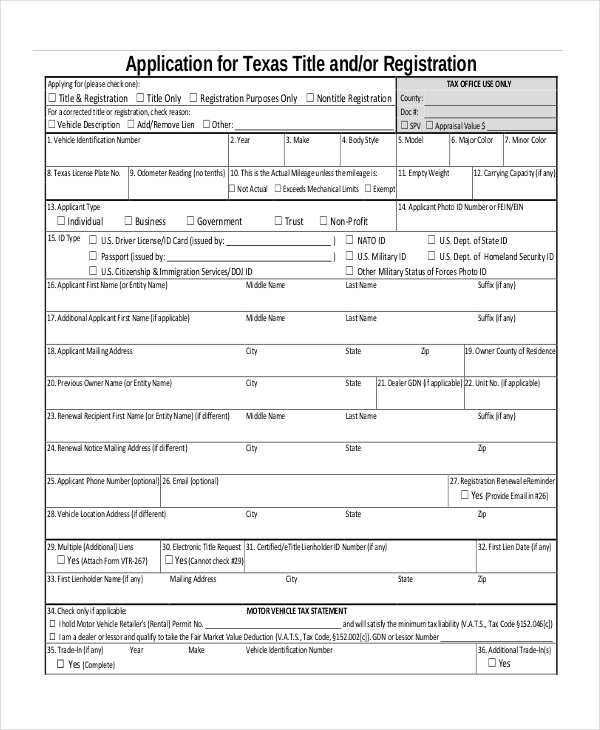 The person applying for the transfer needs to fill in this form with important details. This form is mainly used by schools/colleges or universities to transfer their student into another school/college. 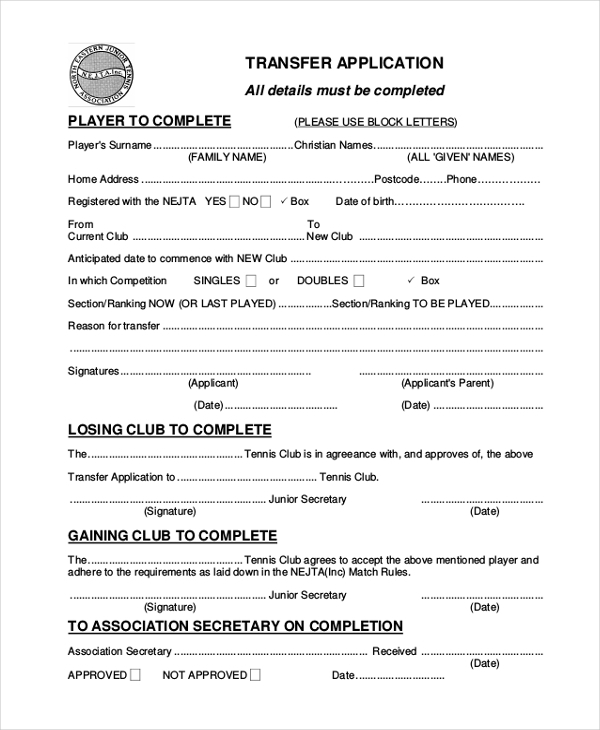 The official is required to fill in this form with all crucial details before signing the form. As the name indicates, this form is used when the ownership of a property is transferred from one party to another. The parties are required to fill in their personal details as well as that of the property in this form. This form is used by business as well as educational organizations to enable their patrons to request for a transfer. The applicant is required to fill in his personal details and reasons for seeking a transfer. 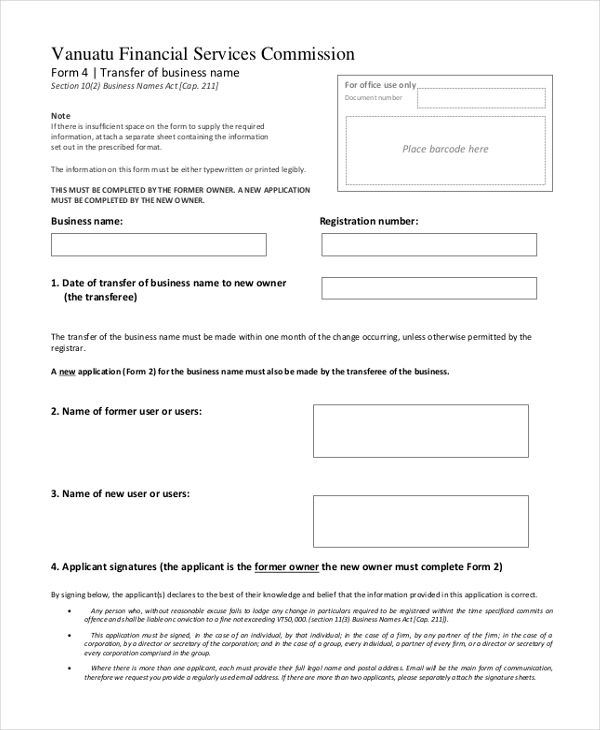 This form is used by a party who wishes to transfer its business name to another party. The form allows the parties concerned to pen down their details as well as the terms of the agreement. 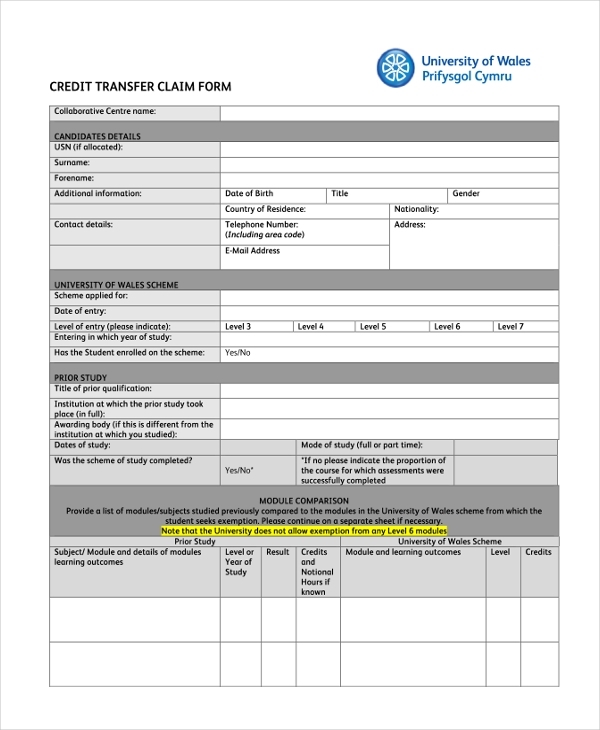 Whenever a person needs to apply for certain claims to be transferred to his name, he uses a transfer claim form. He is required to fill in this form with necessary details and then submit it to the authority concerned. 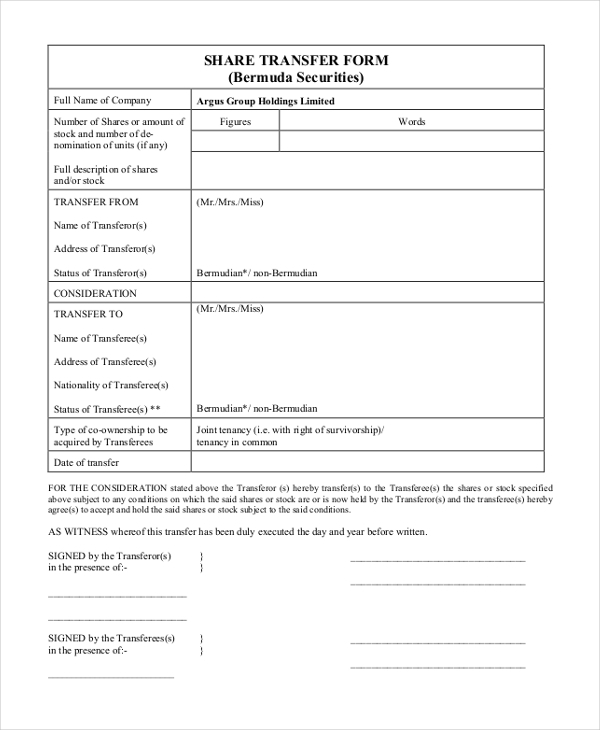 Transfer forms are mainly used for transfer of ownership of a thing. 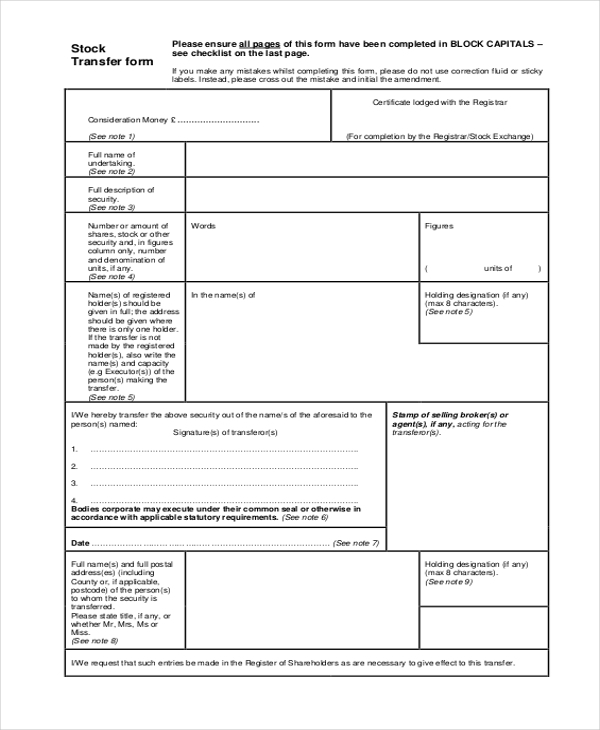 Thus, people dealing in buying and selling of goods and properties may use this form. However, sometimes transfer forms are also used to request a transfer service. 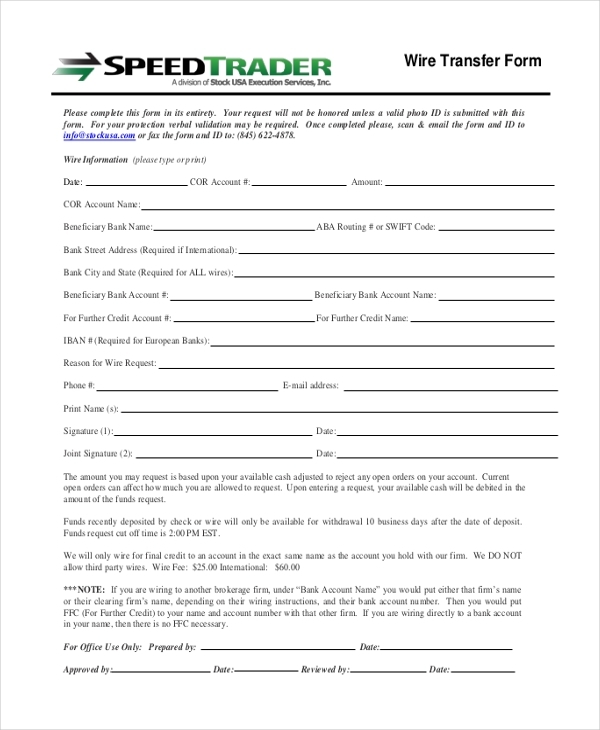 Business Organizations can use transfer forms to sell their products to customers. 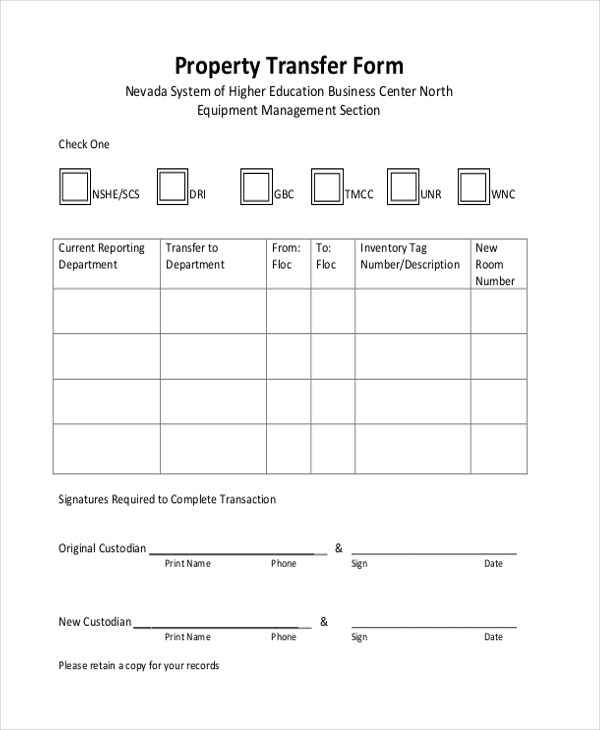 Property Owners can use transfer forms to sell their property and transfer its ownership to the buyer. Stock Brokers may use transfer forms to simplify the process of buying and selling of stocks and shares. 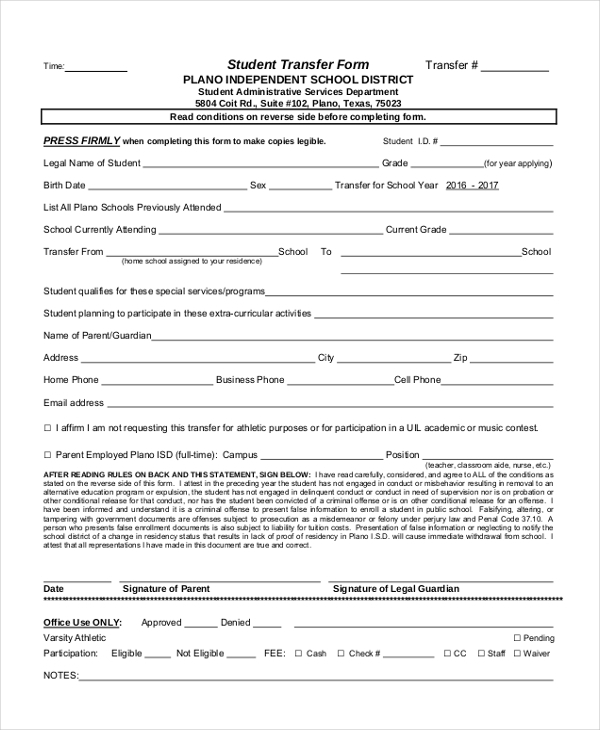 Schools/Colleges use transfer forms to enable their patrons to request a transfer to another school or department. 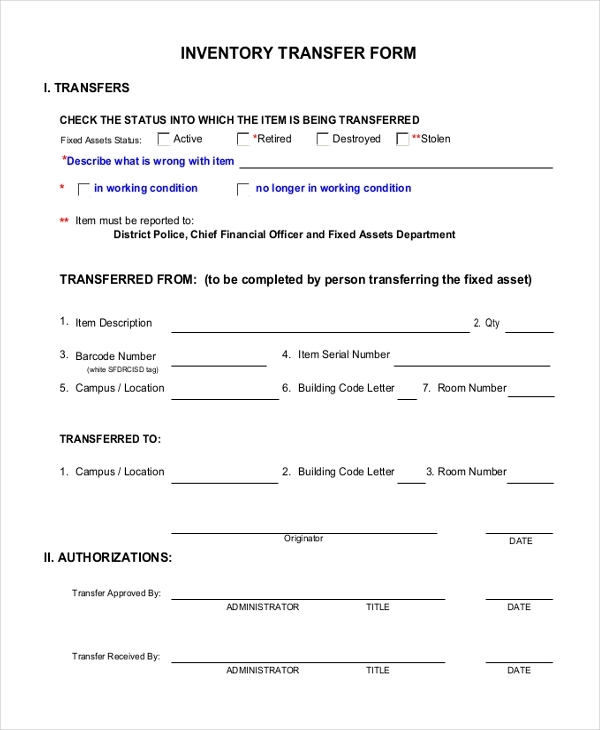 How to Format Transfer Forms? Begin a transfer form with the logo and name of your organization followed by other details like address, phone number, email id etc. Below this design two separate segments to add in the details of the two parties. You also need to leave out some place for the details of the product or property being transferred. You can also add in the terms and regulations of agreement to the form. In the end, there should be enough space for signatures of both the parties. 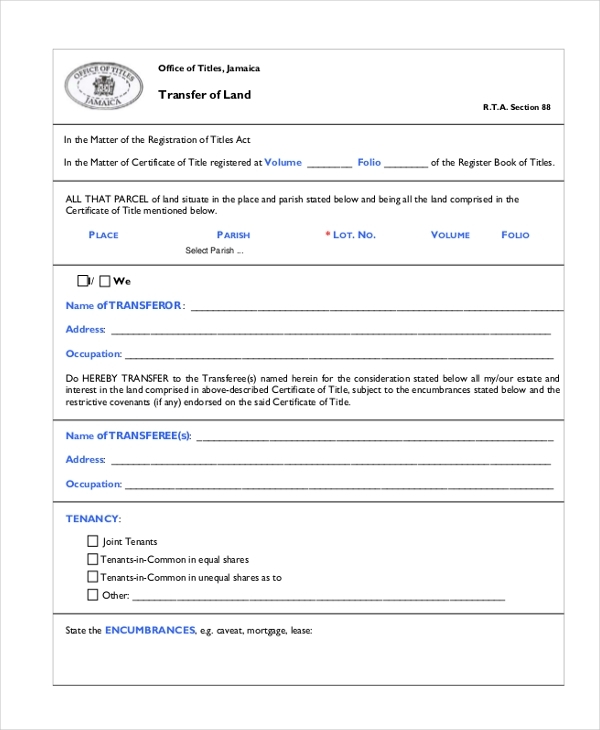 A transfer form can help you legalize a transaction and also helps you to put everything in writing. Not sure how to design a transfer form? 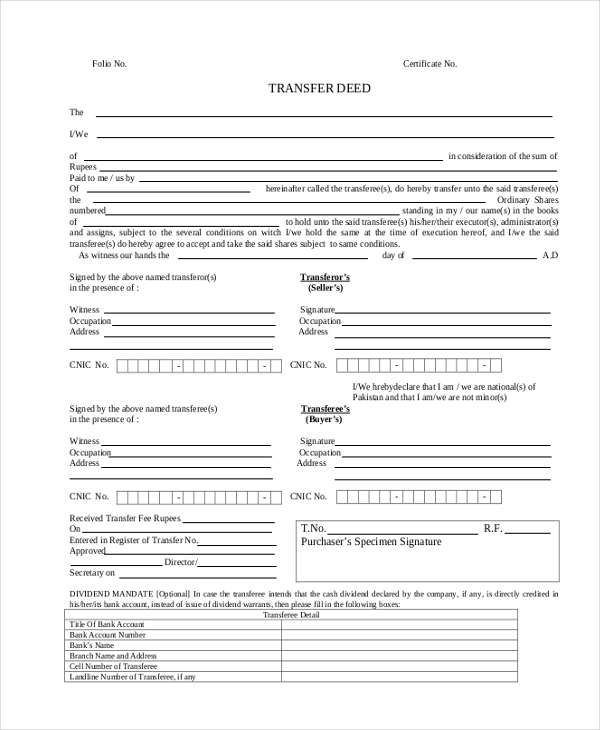 Check out our vast collection of transfer forms and download the one that suits your needs. All these forms are easy to download and can be customized as per your need.